By Ashutosh KS in Desktop. Updated on April 9, 2018 . Ever heard of OpenShift? OpenShift is a simplified cloud platform for developers to build and deploy applications effortlessly to the Cloud. It gives free usage of three small gears and 1 GB of database storage and it comes with support for a wide variety of programming languages, databases and platforms. On top of that, you get custom domain support, SSH access to the application’s console and more for free. The platform comes with its own app store, aptly named the OpenShift Marketplace. Here, developers can try to find solutions for their OpenShift-hosted applications. We’re looking at third-party apps for productivity, for managing and speeding up databases, email delivery services, messaging queues, improving performance and more. It’s an attempt to widen the OpenShift Platform-as-a-Service (PaaS) offering, and bridge the gap between service providers and application developers. Let’s have a look on the remarkable third-party solutions from OpenShift Marketplace that enables you to build better products for your customers on the Red Hat’s cloud platform. 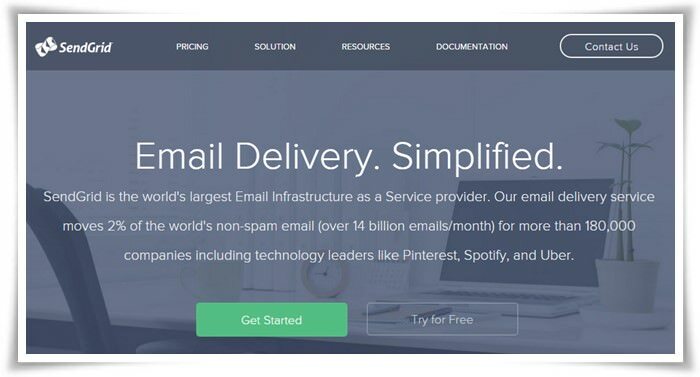 SendGrid is a simplified email delivery service. Its cloud-based email delivery infrastructure relieves you of the cost and difficulty of managing an email system. It’s a reliable and scalable solution with real-time analytics and flexible APIs for easily assessing email campaigns and building custom features. 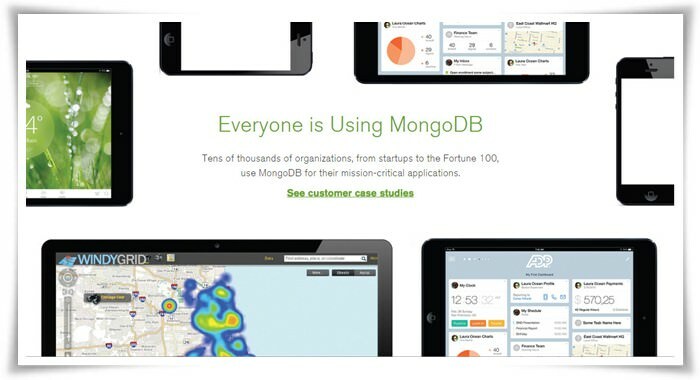 MongoLab is the cloud service of MongoDB, the most popular NoSQL database. 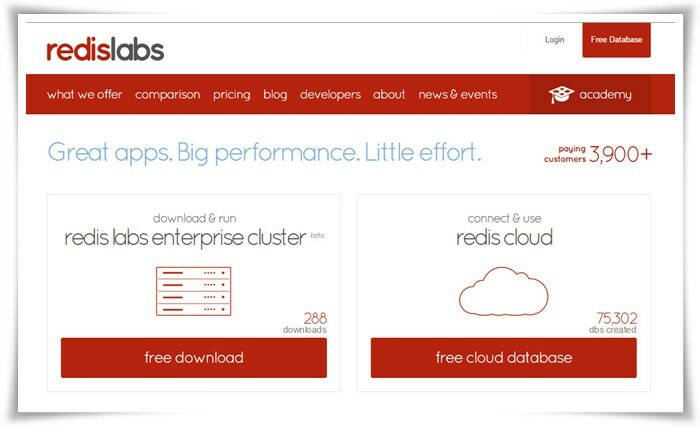 It’s a fully-managed Database-as-a-Service (DBaaS) for mission-critical applications. It features highly-available MongoDB databases along with other features such as automated backups, web-based tools, all-time monitoring, excellent expert support, etc. New Relic is a performance-monitoring solution for web and mobile applications. It’s a cloud-based analytics and monitoring software with the highest levels of compliance and integrity. It empowers developers and business leaders to understand their users’ true experience and helps in delivering value to the customers by creating great applications. Memcached Cloud is a fully-managed cloud instance of Memcached with high availability and fast storage engine. It’s a memory-caching system in the Cloud to speed-up dynamic database-driven websites and web applications. It can prove to be a performance booster if your application makes large numbers of database requests, by caching frequently used data in the memory. 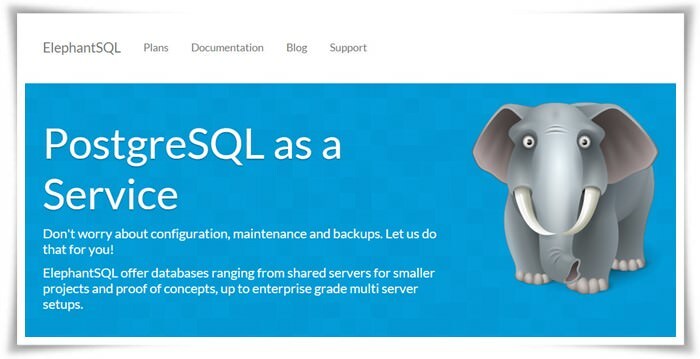 ElephantSQL is a cloud version of PostgreSQL — the most advanced open-source database. It’s a configuration-free instance of PostgreSQL that’s hosted in Amazon EC2 for high performance, availability and reliability. It comes with many more features such as automated regular backups, high security, and support for powerful extensions such as HStore, Crypto, and many more. 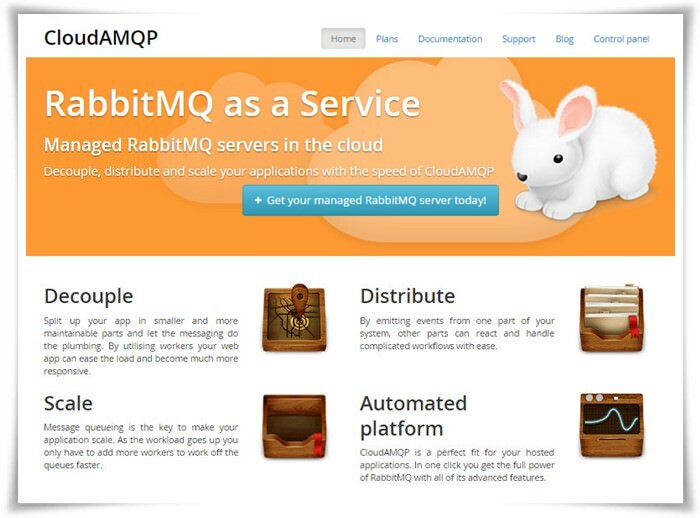 CloudAMQP is a RabbitMQ-as-a-service offering. It provides a common platform for your applications to send and receive messages, and thus allows your applications and services to connect to each other and your users, and work as decoupled application modules. It can effectively handle messages and notifications streaming, and proves to be an excellent backend for real-time applications. 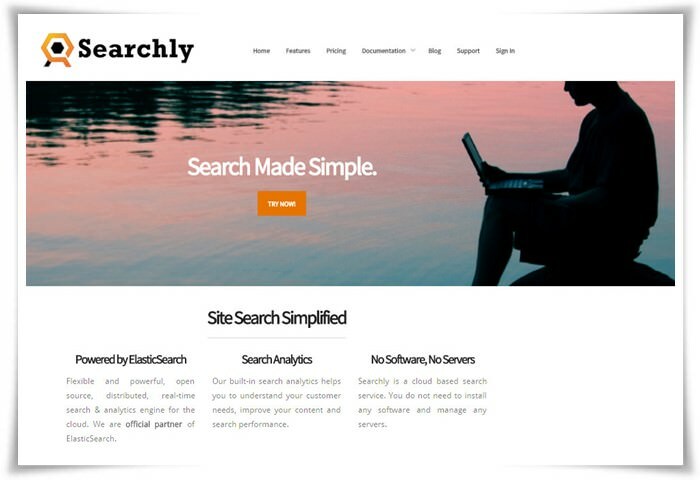 Searchly Elasticsearch brings a cloud-hosted, scalable and flexible search engine for your application. Its REST JSON APIs allow easy integration with many languages and frameworks. Its Kibana dashboard provides configuration controls and search analytics; which helps to understand user needs, improve content and manage the search engine’s performance. 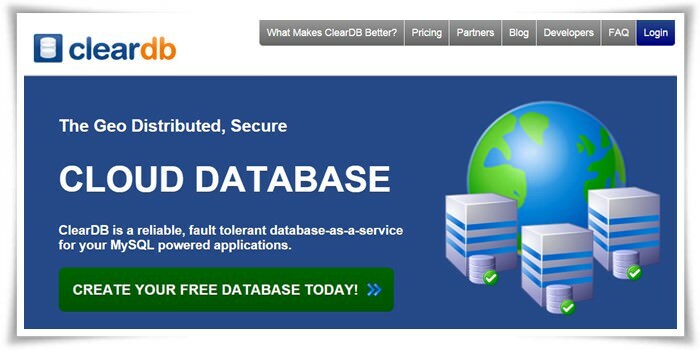 ClearDB offers globally distributed and secure cloud instances of MySQL database. It’s highly available, stable and hardened MySQL platform for those who cannot risk their applications going offline. Its multi-node structure provides data access even if a node (or more) fails or goes offline. Moreover, this offering even includes battle-tested security like SSL encryption and client certificates. 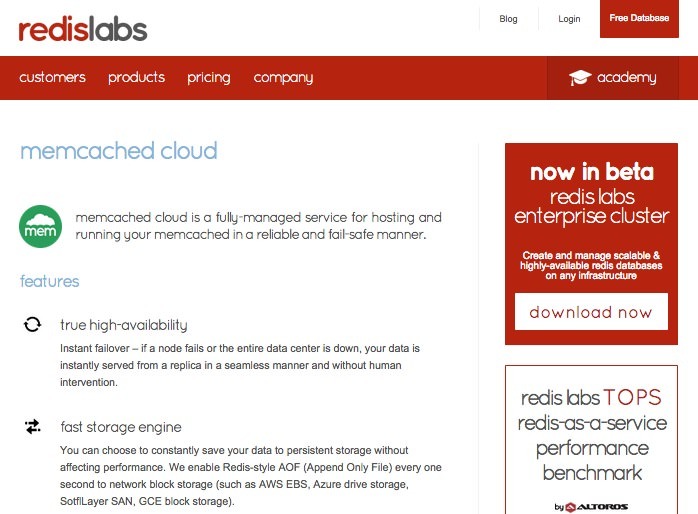 Redis Cloud is a cloud offering to host and run your Redis dataset. It’s a highly available, scalable and stable service with infinite scalability, which means your dataset can grow to any size. It schedules backups every one second, and even offers an option to backup to Amazon S3. Moreover, it’s fully automated and allows the use of many database connections for high performance. 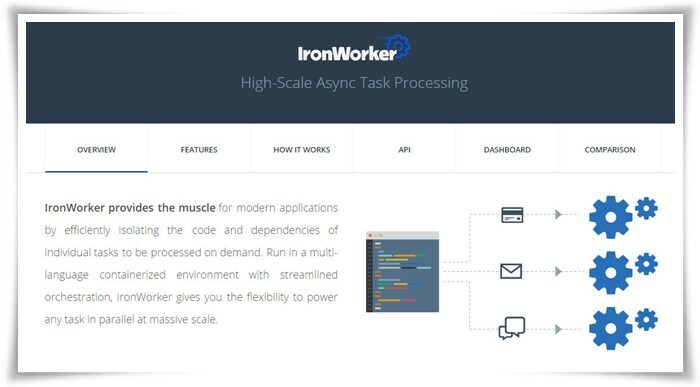 IronWorker is a scalable task queue or worker cloud service that can handle anything and everything you send it. It can do all the background-processing tasks for your real-time production-scale applications. You can queue tasks from your app, schedule jobs or use webhooks to send tasks. It works with various languages and binary executables, and handles security by using SSL connections and running tasks in sandboxes. 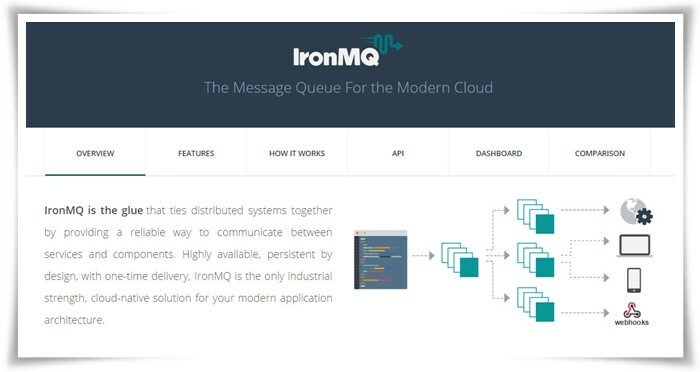 IronMQ is a message queue service that offers message persistence, redundancy and security. It runs on highly available cloud infrastructures, and supports multiple queuing patterns and string messages for maximum flexibility. It provides a rich dashboard that shows all the active queues and messages statistics. It comes with support for multiple interfaces and client libraries for various languages. PubNub is a cloud infrastructure to build real-time scalable applications. It offers simple APIs with SDKs for almost all popular mobile, browser, desktop and server platforms. It provides key features for real-time apps like user presence, push notifications, persistent data streams, etc. It features analytics with real-time maps and graphs, audience analysis and even audience simulation for testing purposes. Load Impact is a load-testing service. It provides automated, on-demand performance testing of your real-time applications with realistic simulated testers. Its features include scheduled load tests, session recording, server monitoring, mobile client and network emulation, etc. It can simulate more than a million concurrent users from multiple geo-locations to test the load-tolerance of your application. 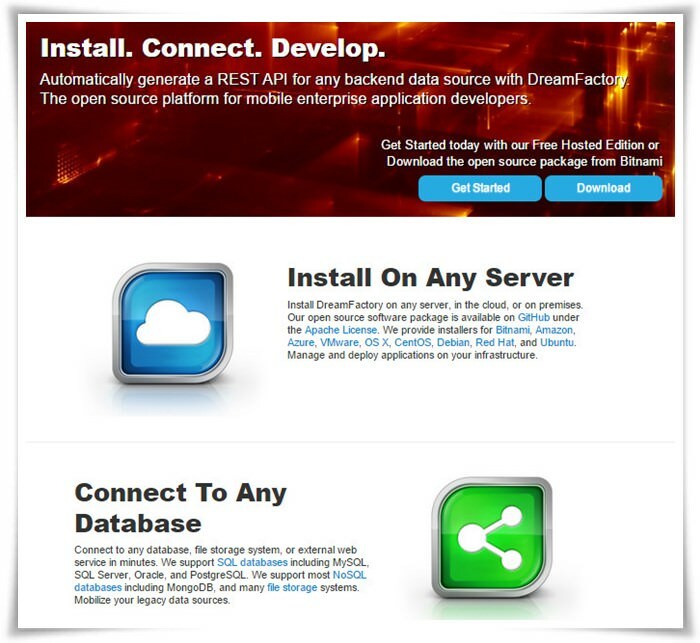 DreamFactory is an open source REST API platform. It automatically generates APIs for backend data sources and lets your application connect to any SQL as well as NoSQL database, file storage system or external services. You can create modern applications using the provided SDK for HTML5 or native code libraries for mobile platforms. 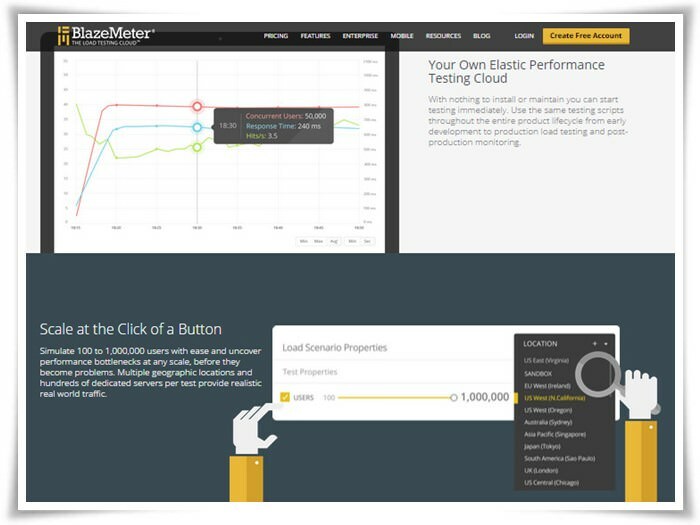 BlazeMeter is a load and performance testing solution. Its auto-scripting feature can relieve you of writing scripts for tests. It’s even compatible with Apache JMeter and its scripting capabilities. It simulates tests using realistic visitor behavior from multiple geographic locations. You can watch real-time reports or compare multiple reports using intuitive graphs from the test management system. These applications and services can help you to build a better application, one on the OpenShift platform that’s more scalable, reliable, handles data better, can handle heavy background processing, pass messages and supports decoupled app modules, and is gone through heavy testing before put into production. Moreover, you can start free.